Everyone has their own issues. As we age, these challenges may often remain in place. Meanwhile, a whole new brand of concerns emerge. These and other emotional and physical factors play a major role in a senior’s communication abilities. You might even say such factors can alter one’s willingness to communicate. Geriatric counseling becomes essential at this point. Our culture feels more youth-focused by the day. Yet, the U.S. population is rapidly headed in a different direction as the last of the baby boomers will turn 65 in 2029. Geriatric counseling is clearly a much-needed option. As populations age, health care must evolve and adapt to ensure steady communication. This can happen in every possible way. It should come as no surprise that in today’s society many elderly people feel devalued. How can they hone their communication skills when their opinions are no longer sought? Counseling is a safe space to discuss problems and concerns—a time when they can open up and feel validated. Things are changing in confusing new ways for seniors. A variety of physical factors can put a big-time crimp in their lifestyle. This has a way of also cramping communication. They may feel ashamed of the changes they’re undergoing, and our culture reinforces this feeling. In therapy sessions, they can find room to share what they feel without shame or worry about stigma. It’s always a good idea to stay present—especially when the future has never felt more daunting. The past can cast a long shadow as you reach senior citizen status. All of this adds up to embracing what you have: the moment. It is in that present where an older adult can find peace and their voice! A geriatric counselor will gently remind your aging loved one that they are capable of more. Age brings challenges, but it doesn’t have to stop exploration of interests and socializing. Geriatric counseling empowers new perspectives and ideas. Developing new interests and connections requires communication, and it inspires communication. These days, communication means learning and trusting technology. It helps to have a guide—someone who will patiently explain the importance of learning such valuable new skills. It’s not uncommon for seniors to get out less and perhaps even become homebound. In contrast, mastering today’s technology provides an avenue to free communication. What Is the First Step Toward Geriatric Counseling? “Senior citizen” is not a one-size-fits-all label. However, like all demographics, you will discover some common traits. For example, older adults may be less open about trying therapy. Not that long ago, the stigma about seeing a therapist was greater than it is now. Hence, if an older adult in your life is resistant to counseling, a huge first step is introducing the concept. This is when you may want to reach out to a geriatric counselor and get their input. You must learn as much as possible about the process. When discussing the challenges in an older adult’s life, arm yourself with facts and patience. A good geriatric counselor will be there to help you bridge the gap and compassionately talk with your aging loved one. 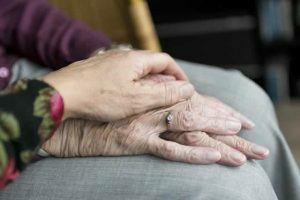 If you would like to know more about senior therapy and geriatric counseling, please click HERE.